Taylor is a dancer and writer located in New York City. 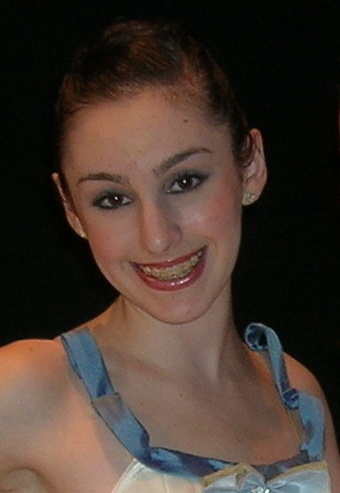 Passionate about both ballet and journalism, she is a 19-year old student in the Masters Program in Magazine Publishing at Pace University and is continuing to pursue a performing career. ballets, including Giselle, Sleeping Beauty, and Midsummer Night's Dream. She moved away from home to attend The Rock School in Philadelphia, PA on scholarship at age 14. In addition to intensive training, and performing with Pennsylvania Ballet in Balanchine's The Nutcracker twice, she completed her high school studies early and graduated at age 16. There she also created & edited the school paper and yearbook. She was awarded the Future Leaders of America Award from the Metrowest Daily News in Massachusetts and the James T. Eastwood Memorial Scholarship from Talent America. After summers at Boston Ballet and Miami City Ballet, she moved to New York to attend Marymount Manhattan College as a Communication Arts major and to dance at Ballet Academy East (BAE). She was also a teaching assistant here. In her two years at BAE she worked with a diverse range of faculty and guest teachers, including Cynthia Gregory, Nikolaj Hubbe, and Christopher D'Amboise. Her repertoire there included Balanchine's Divertimento No. 15 and Raymonda Variations, Sleeping Beauty Act III, Bournonville's Napoli, and others. When Ballet Academy East finished, she went on to train with her current teacher and mentor, Kat Wildish, at the Ailey Extension Program. She performed as a super in ABT's Romeo and Juliet at the Metropolitan Opera House in June, and is dancing in the Nutcracker with the Albano Ballet Company this December. While training full time she managed to accelerate through college as well, and will graduate in January 2008 with her Bachelors Degree after only 2 ½ years. A member of the Lambda Pi Eta and Alpha Sigma Delta Honor Societies, she is pursuing a journalism career, with internships completed at Pointe Magazine, Shelter Interiors Magazine, Ellen Jacobs Associates (a PR agency representing dance companies), and currently at Hearst Corporation's Quick & Simple Magazine. She is the Features Editor of her college paper and a contributor to the college magazine. Her writing has appeared in all of these publications, as well as Dance Spirit Magazine, movmnt magazine, The Milford Daily News, TheWinger.com, ExploreDance.com, offoffonline.com, castingnewyork.com, and various others.